Address: Travessa das Pedras muitas nº 13 Baleal, Peniche (Región Centro), Portugal. Located in Baleal, 4 Km from Peniche, Baleal Cliff House B&B offers self-catering studios and rooms at a few minutes’ walk from the beach. The accommodations include free WiFi. Baleal Cliff House offers single, double and twin rooms. Bathrooms are either shared or private. Some rooms have a sea view. Every accommodation includes linen and towels. In addition 2 studios are available. The studios include a fully equipped kitchenette and the rooms have access to a shared kitchen so every guest that is accommodated at Baleal Cliff House B&B can prepare their own meals. In addition a breakfast will be served. For a taste of local cuisine guests can visit the restaurants available within 200 metres. 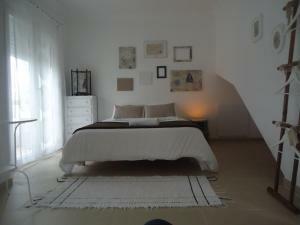 Baleal Cliff House B&B is 32 Km from Caldas da Rainha and a 46-minute drive from Torres Vedras. Lisbon International Airport is 98 Km away. From Peniche guests can visit the Berlengas Islands 10 Km off shore. Please note that the 30% deposit charged on day of booking must be paid by bank transfer within a week. Baleal Cliff House, B&B will contact guests on the day of booking with further details. The remaining amount will be charged in cash at check-in.